No, you did not read it wrong; that’s the title of the article. Your body is a product of nature, and the idea here is emphasis on healing it naturally. Herbs have been around since the beginning of civilization. The earliest doctors we know of were cave dwellers (probably cavewomen since they were the gatherers while men hunted) and even though they were not very good at medicine, they did know a few herbs that would at least relieve a stomachache or induce loose bowels in cases where they were mad at their men. However, medicine men are known to have existed all over the world. Their surprisingly amazing results led to the consideration of herbs and alternative natural means like aromatherapy for healing the body. To date, scientists are still struggling with figuring out how some herbs help the body heal itself. A research by Chattopadhyay and Maurya indicates that’s even though they don’t yet fully understand it, they do agree that they work. Albeit not necessarily a herb, cooked tomato in food, when ingested regularly, helps with prostate cancer, but the secret behind is still unknown. The same phenomenon is true about herbs. The secret behind herbs is not relying on them solely while disregarding other means of healing but in using them as a supplement. Gaia herbs are an excellent example of herbs that you can add to your nutrition routine to complement the nutrients you get from food and other products. You should start by first understanding the different kinds of herbs available and learning how they are of benefit to you. Herbs are great, but modern medicine has played the largest role in prolonging human life than ever before. Today we live longer because of modern medicine and at some point in the future, we may even be immortal – once we figure out how to combat free radicals or transferring our consciousness from body to body. Nevertheless, modern medicine has failed in some places where herbs have prevailed. People believe in this stuff for a reason, particularly in this age where science dominates. It is stupid to believe in something just because everyone is doing it or because some guru suggested it. Asking questions is a healthy and natural thing to do, especially when it involves your health. Some things work for some people, and some things do not. Just as medication recommended for certain symptoms or diagnosis may fail, herbs are also likely to fail, even when you are told it should work. That’s why research is important and living by the rule of “believing what you see” will save your life or a loved one’s. Do you remember the “jilly juice” thing? It is essential to look at facts and not just do things for the sake of or because someone seemed so sure about it. 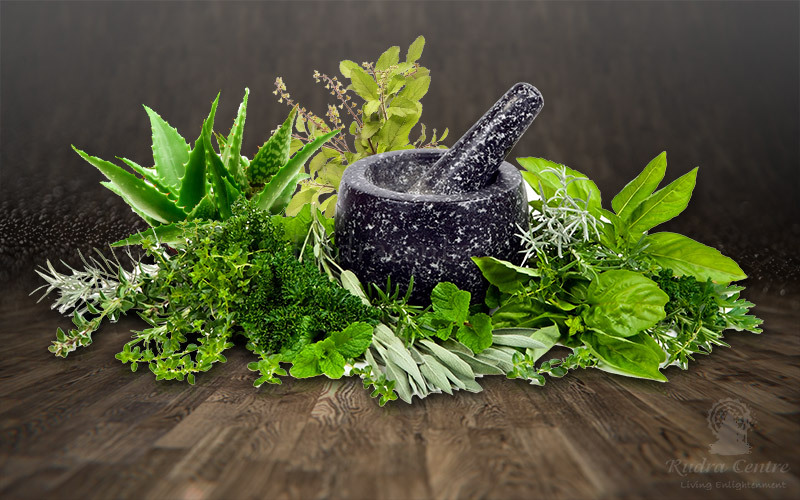 Herbs and spices like rosemary, ginger, Aloe vera, basil, garlic, turmeric, arrowroot, oregano, thyme, or cayenne have been around for centuries and have proved to be beneficial for our health in various scenarios. Letting nature take care of nature involves including these ingredients, among others, in your meals for nutritional purposes when relevant. Health is all about lifestyle. How you eat, when you eat, and what you eat is important. If you don’t chew food properly, it may lead to digestive issues. If you eat too frequently, it may lead to weight gain. If you eat unhealthy food, that’s a recipe for health problems including weight gain, obesity, and diabetes. You can take care of every issue mentioned in the preceding section if you regularly and responsibly include herbs in your diet. Remember not to rely solely on herbs for health benefits but to use them to supplement and complement your nutrition.